But finally it's here so HORRAYY!! 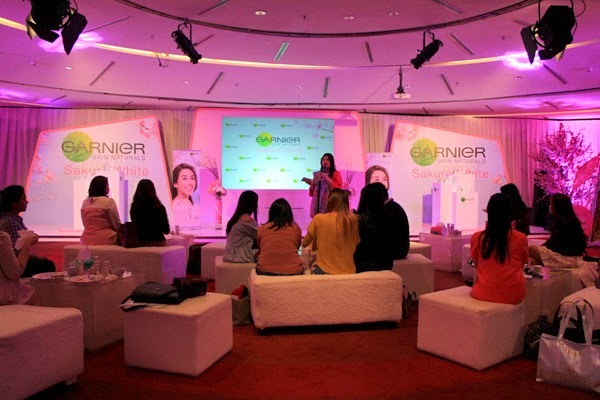 For the opening speech we have Mrs. Reny K. Agustia as Garnier Marketing Manager welcomed us. 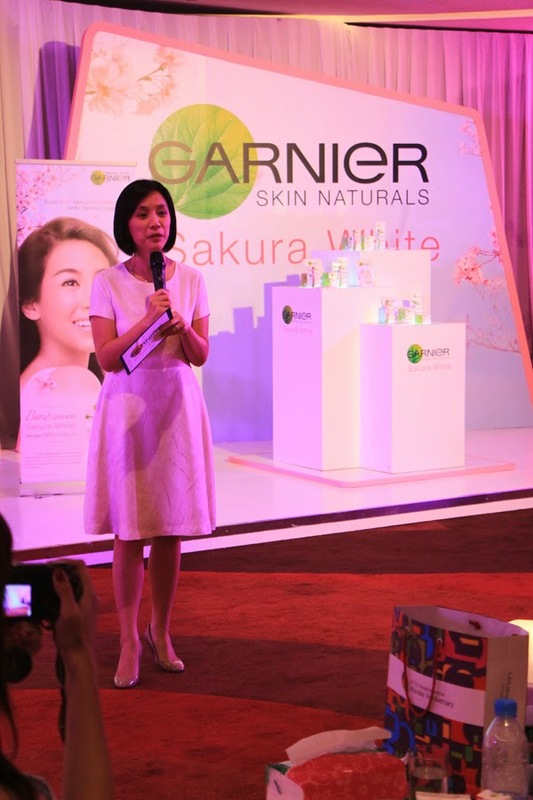 And then there's a bit of talk show happening to explain more about the new Garnier Sakura White.The only thing I remember the most (as also stated on the first picture. duh) is it claimed to make our skin 60% visibly brighter in just 4 weeks! Well well, I don't know how true is that but I have high hopes to you, sakura! Other than that we just mostly playing and trying out the new range. The smells are niiicceee! But I don't know if I'm making this up. 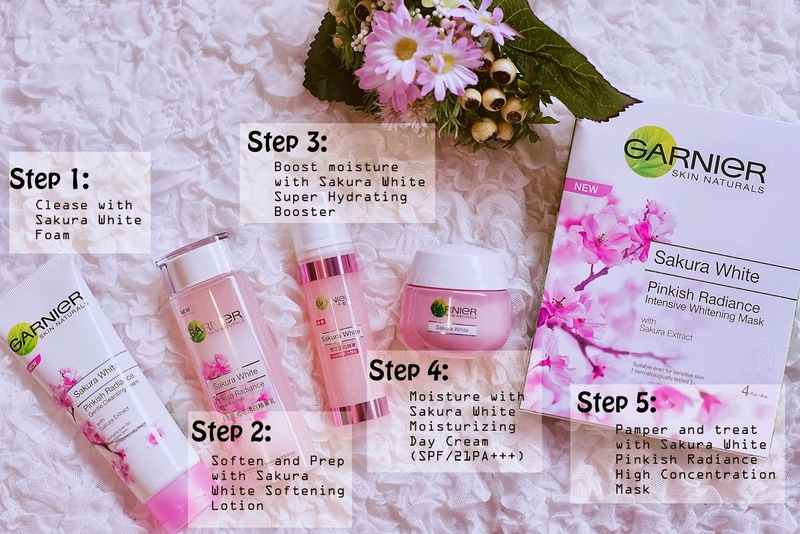 But I've try the sakura moisturizer I bought in Thailand and as far as I remember, I was so in love with the smell on the Thai bought moisturizer I can't stop smelling it, while this one I'm kinda think "well, it's nice". It's a pretty scent, don't get me wrong. I don't know if it's my nose had gone bad or I don't know, I don't have any reason. But my nose is not trusted, so don't trust me! So what's the point of telling you guys this if I can't make any sense? I still don't know! Haha. K, sthap! 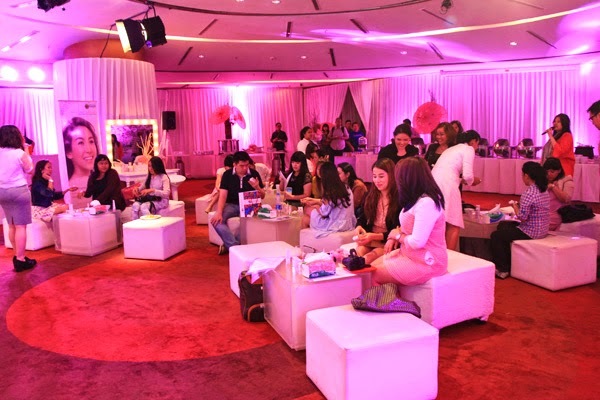 The event was held in f(X) Sudirman in such a heavy rain & thunder. But everyone manage to arrive safe & sound. 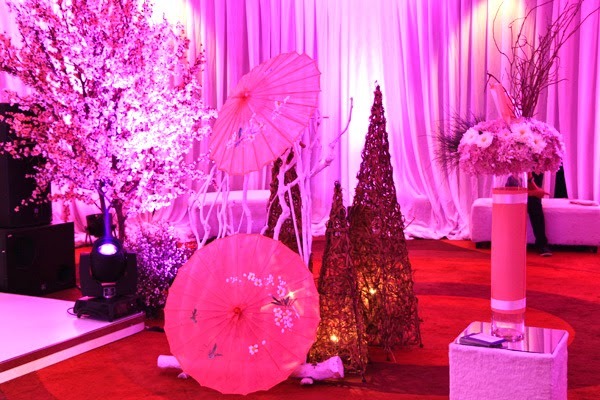 I'm sure we're all feel anything but dissapointed when greeted by all this Japanese Themed ballroom. 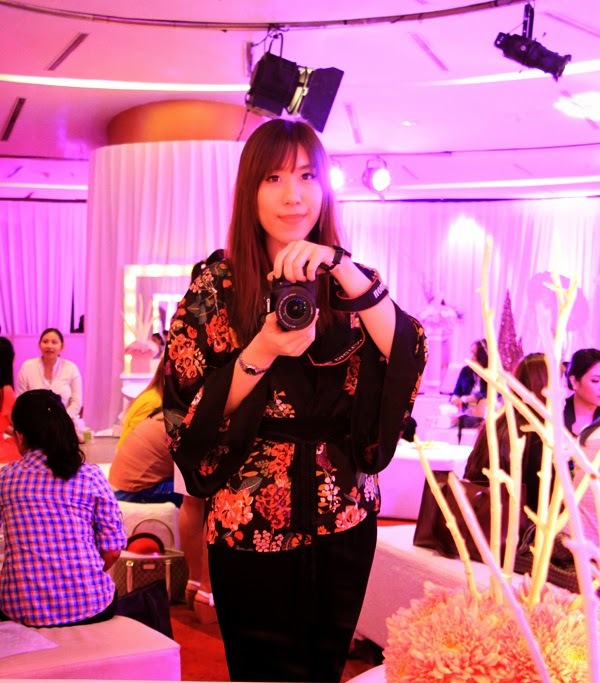 It's very nice and girly from all the flowers and pink atmosphere. I get attracted by the beautiful vanity with all this lights on, and of course a selfie is must! Wouldn't hurt anyone, aight? 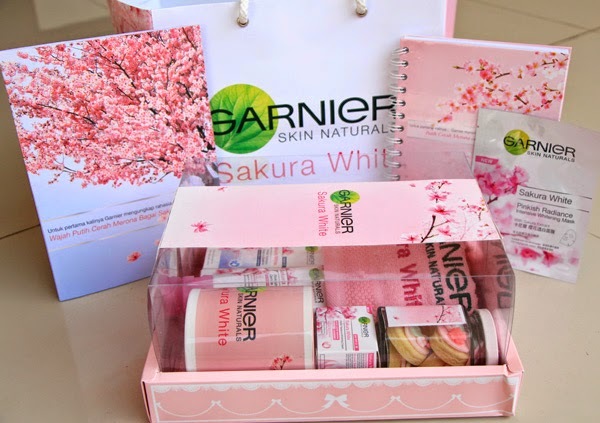 A very cute hampers from Garnier. love how they always put extra effort for details like having that mug, towel, and cute sakura topped cookies! But there's some difference on what they brought here and what they have on the other countries. Truthfully, when I saw that they came out with this collection, I fell in love straight for the toner because I love thin formula as it reminds me of the Hadalabo Toner which is soooo moisturizing. 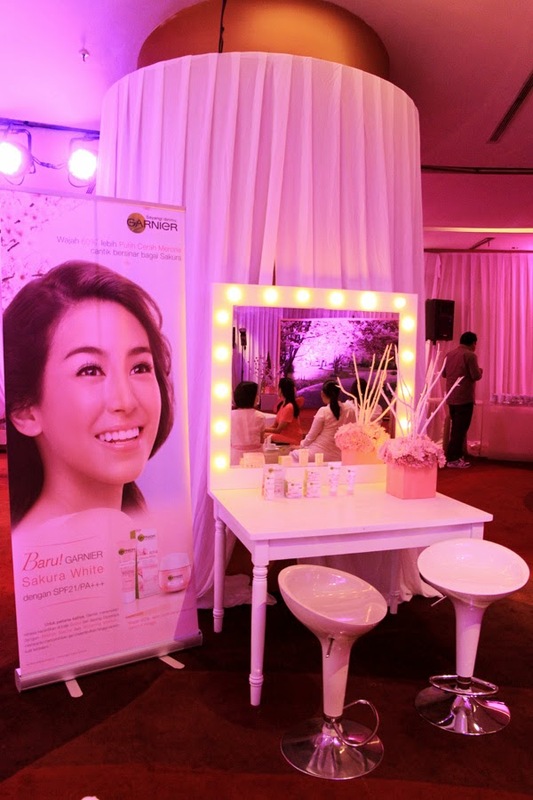 And they also have a new Super Hydrating Booster in Singapore. Now somebody get me that! But nonetheless I'm so happy for they have finally arrive in Indonesia. I'm just hoping they would bring the Softening Lotion & Super Hydrating Booster ASAP cause they're just different from all other drugstore skincare we have here & it's always an exciting thing to see new formula or a new concept from a brand, aight? 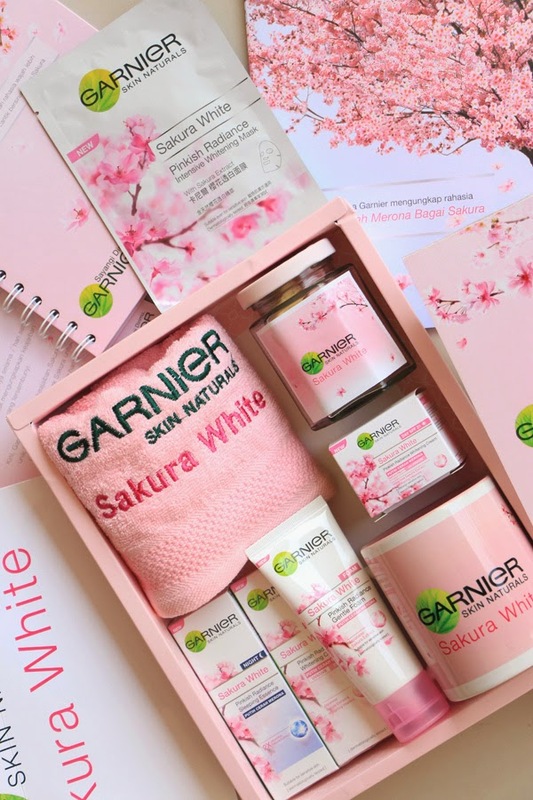 So have you get your hand on this new & hot babes from Garnier? What's your thoughts? Share it with me on the comment section below! Don't forget to rate, comment, & subsribe! Awaight, until then. See ya! 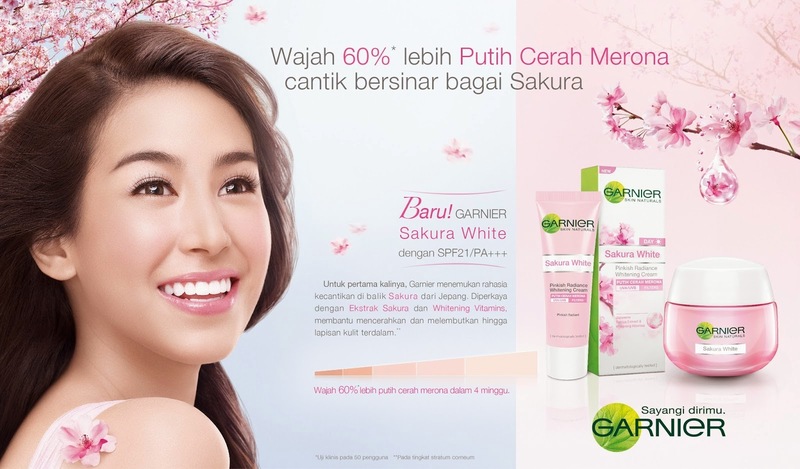 aku mau tanya kenapa yah setelah aku beberapa hari pake garnier sakura white koh pipku jd memerah kasar dan perih saat berkeringat?